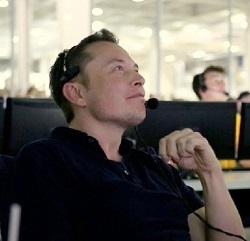 LOS ANGELES (Aero Club PR) — Elon Musk, Chief Executive and Chief Technology Officer of SpaceX, the Hawthorne-based company which makes and launches advanced rockets and spacecraft, has been selected to receive the 2014 Howard Hughes Memorial Award by the Aero Club of Southern California. What’s It Like to Work for Elon Musk? Quora.com has some interesting input from Space.com and Tesla employees on what it’s like to work for Elon Musk. From the responses, it sounds awesome, challenging, demanding, inspiring and all measures of other superlatives. And it’s clearly not for everyone. Everything that’s been said is certainly true. SpaceX really is awesome. What’s been said is just one part of what it’s like to work with Elon Musk so I’ll discuss the side that you won’t often hear. If you want a family or hobbies or to see any other aspect of life other than the boundaries of your cubicle, SpaceX is not for you and Elon doesn’t seem to give a damn. This side of what it’s like to work with Elon shows that no one likes working with Elon. You can always tell when someone’s left an Elon meeting: they’re defeated. These are some of the hardest working and brightest people in the world, mind you. And they are universally defeated. At least in engineering, who knows what HR and finance does. PALOS PARK, IL (Edison Awards PR) — The Edison Awards announced that Elon Musk, CEO and product architect of Tesla Motors and the CEO/CTO of Space Exploration Technologies (SpaceX), will be honored for his continuous contribution to human-centered design, as well as his positive influence on creating entirely new market opportunities and inspiring future leaders and innovators worldwide. The Edison Awards Ceremony will be held on April 29-30, 2014 at the Julia Morgan Ballroom in San Francisco, California. Via Wired: Tesla Motors is challenging the giants of the global auto industry with all-electric cars—and a new approach to building them. Take a look at their assembly lines, and the philosophy behind them. This would be the second of three planned glide tests with the engine installed before powered flights begin. There’s a rumor of the first powered flight occurring in about three weeks’ time, but that remains unconfirmed. 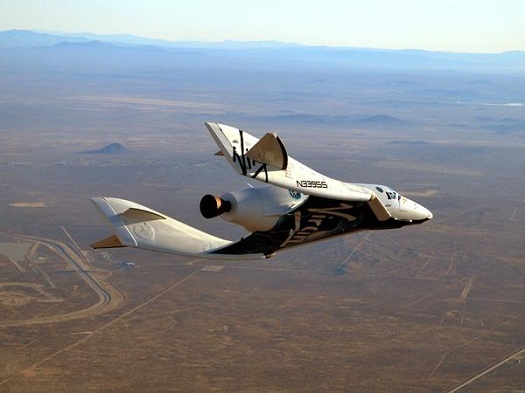 Meanwhile, Virgin Galactic was out on a separate test stand doing brief firings of an engine last week. I don’t know for sure, but my best guess that it is a liquid engine designed to power LauncherOne and SpaceShipTwo. On Sunday, SpaceX CEO Elon Musk announced that his electric car company, Tesla Motors, had its first profitable quarter. He also hinted at bigger news coming on Tuesday. We’ll have to see just how important it is in the morning. Forbes has released its annual list of the world’s billionaires. There are a record 1,426 individuals with an aggregate net worth of $5.4 trillion in the world. The table below shows the tiny handful of this group — nine individuals — who are currently or have been previously involved in space projects. Elon Musk talks about the future of space, energy and humanity during an appearance at Oxford University’s Martin School. Four NASA projects, an electric car produced by Elon Musk’s Tesla Motors, and the pressure suit worn by Felix Baumgartner during his record skydiving jump have all made Popular Science‘s Best of What’s New 2012 list. The Tesla Model S sets the standard by which all future electronic vehicles will be measured. It is faster than any other street-legal electric vehicle, with a motor that generates a peak 416 horsepower. The family-size sedan can dart from 0 to 60 in 4.4 seconds and has a top speed of 130 mph. The Tesla Model S can also drive farther on a charge than any other electric car—up to 300 miles on the optional 85-kilowatt-hour battery. Tesla’s sedan also captured Motor Trend’s Car of the Year honors this week. A NASA press release about PhoneSat, in which a smart phone was used to power a satellite, follows after the break. 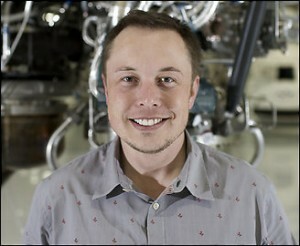 Congratulations to SpaceX Founder Elon Musk and the Jet Propulsion Laboratory, whom Popular Mechanics has honored with 2012 Breakthrough Awards. Elon Musk, the man, has every reason to be nervous. At 41, the South African-born billionaire has staked his fortune on businesses that could reshape the future—or implode spectacularly. After creating and selling the Internet payment system PayPal, Musk turned his attention to industries he felt could enhance humanity’s potential: electric cars and affordable spaceflight. 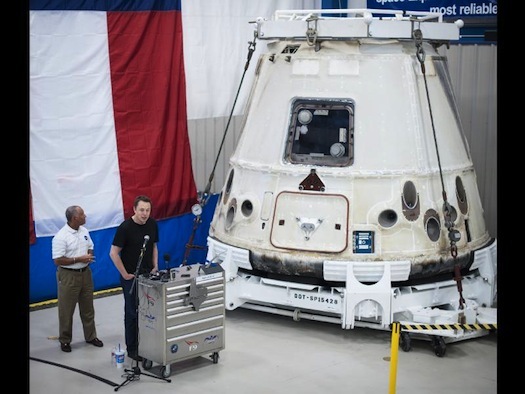 Read an account of Musk’s innovative approaches to business here. The magazine’s editors also sat down with Musk for an interview here. 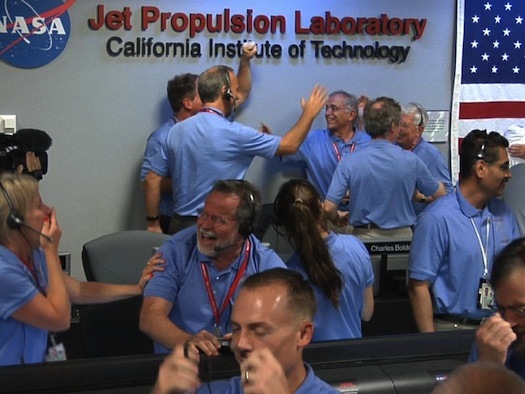 Congratulations to Musk, JPL and all the other winners. Check out the magazines full coverage here. Elon Musk, co-founder of Tesla Motors Inc. (TSLA) and founder of Space Exploration Technologies Corp., said he’s interested in creating a holding company for shares of his electric car and rocket launch businesses. 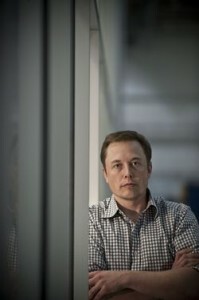 The Potomac Institute for Policy Studies (www.potomacinstitute.org) is pleased to announce that Elon Musk, CEO and Product Architect of Tesla Motors and CEO/CTO of Space Exploration Technologies (SpaceX), will be a Potomac Institute for Policy Studies Navigator Award winner for 2010. Mr. Musk and fellow awardees will be presented with the award at a banquet at the Willard Hotel, Washington, DC, on October 21. Electric car maker Tesla Motors Inc. filed documents Tuesday for an initial public offering of stock that could net nearly $180 million. In addition, Tesla plans to sell $50 million of its stock to Toyota Motor Corp. immediately following the IPO. Tesla recently agreed to buy Toyota’s Fremont, Calif. manufacturing facility for $42 million, while receiving an investment from the Japanese auto maker as part of a broader partnership. SpaceX CEO Elon Musk’s other major venture, Tesla Motors, filed for an IPO last week in order to become a public company. The California-based electric car company has sold 937 of its Roadsters sports cars worldwide. The company, which has lost $128.2 million since its incorporation in 2003, plans to introduce a Model S sedan in 2012. For those interested in an overview of Telsa’s plans, the relevant section from the registration statement is reproduced after the break. 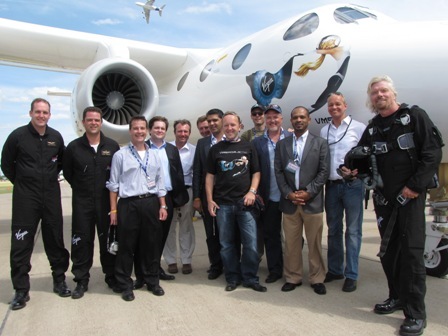 Sir Richard Branson with Virgin Galactic pilots, staffers and investors. 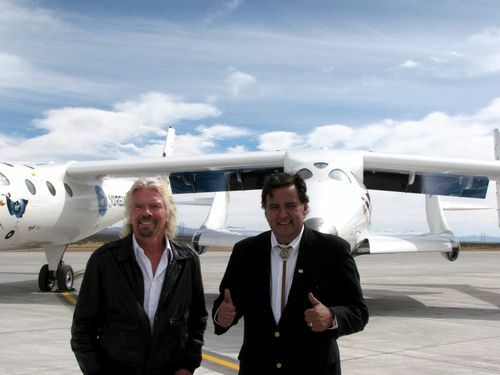 To his right is Mohamed Badawy Al-Husseiny, CEO of Aabar, which made a $280 million in Virgin Galactic. There’s an interesting story in The National about how Aabar Investments – a company backed by the Abu Dhabi government – has transformed itself from a small energy firm into a high-tech powerhouse with investments in Richard Branson’s Virgin Galactic (32 percent) and Elon Musk’s Tesla Motors (4 percent).